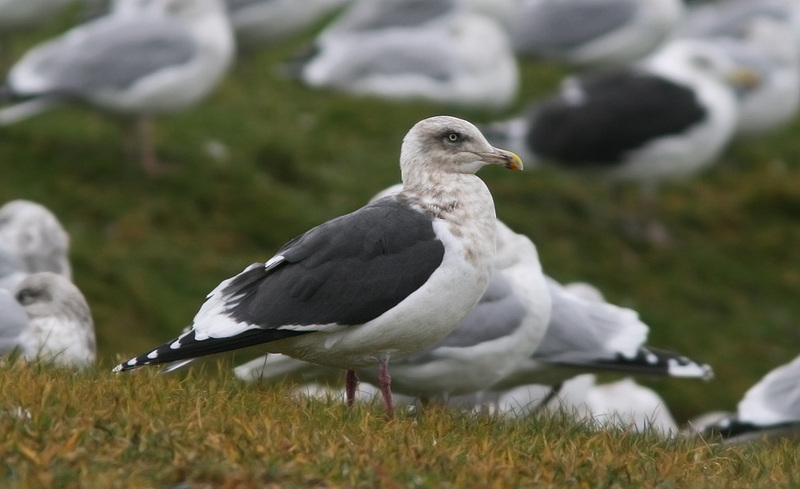 This Slaty-backed Gull was in St. John’s during the winter of 2010-2011, marking the 14th record of a species once thought very unlikely to show up here. Origins: Occurs primarily in northeast Asia (Japan, Korea) and western Alaska. It is a rare visitor to other parts of North America, but records have been increasing dramatically over the past number of years. Record Details: First recorded in January 2006, but currently there have been eighteen records of about fifteen individuals. All but two records come from St. John’s, with others in Lewisporte (December 2007 – January 2008) and Corner Brook (December 2008). There is one spring record (April 23 – May 7, 2006), and only one record of a non-adult individual (3rd winter plumage).